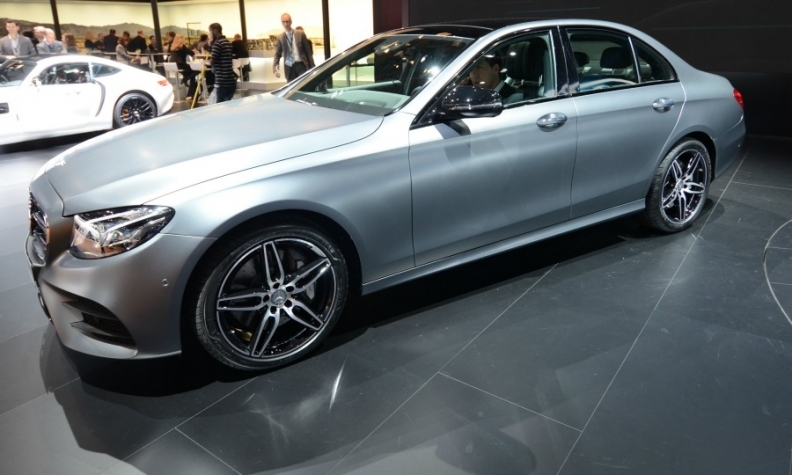 Autoliv provides some self-driving components for Mercedes-Benz's new E class. STOCKHOLM (Bloomberg) -- With an eye on a future with self-driving vehicles, Swedish airbag maker Autoliv wants to expand in technology aimed at avoiding collisions rather than just trying to limit their devastating effects. The world’s biggest maker of car-safety parts is seeking acquisitions and joint ventures in systems such as Lidar, a technology that uses lasers to detect objects, CEO Jan Carlson said in an interview here. Autoliv has "discussions ongoing" with some companies, he said. Google along with BMW Group and other carmakers are racing to develop self-driving vehicles that would require a range of new safety features to avoid traffic accidents. Within a decade, one in eight cars sold around the world will have autonomous features, according to a study by Boston Consulting Group. The rapid industry change means suppliers like Autoliv are widening their portfolios with devices based on cameras, radar and software. "If we can do technology acquisitions, which has for a long time been in our strategy, it is of course preferable" to developing systems from scratch, Carlson said. Based in Stockholm and Auburn Hills, Michigan, the company has expanded globally by supplying passenger-safety products like seat belts and airbags to virtually every major automaker. Now, Autoliv components are contributing to autonomy features in cars such as Mercedes-Benz’s new E class, which can steer itself in auto-pilot mode, brake in emergencies and evade obstructions. The company is also partnering with Volvo in a project called Drive Me that aims to have 100 self-driving cars on the roads in Gothenburg, Sweden next year. This would follow Google's tests of what may be the best-known fleet of self-driving cars, consisting of prototypes and specially-equipped Lexus SUVs that have driven more than a million miles on roads in California, Texas and Washington. During the past several years, Autoliv has been building up capability in cameras, software and collision-warning systems. The company is also adding brake controls through a joint venture with Japan's Nissin Kogyo. By the end of the decade, Autoliv forecasts annual revenue from electronics will rise to $3 billion, a quarter of total sales, from about $1.6 billion in 2015. Its spending on research and engineering will increase to close to 6.5 percent of sales this year. An acquisition to secure Lidar know-how "would appear to be the most plausible" next step for Autoliv, SEB Equities analyst Anders Trapp said in a phone interview. "They have some form of competence in all sensor technologies except Lidar." Lidar systems bounce laser light off objects to assess their shape and location and are sought by competing suppliers. German supplier Continental this month acquired the Lidar sensor division of Advanced Scientific Concepts while Delphi Automotive said in June it was investing in Lidar-maker Quanergy Systems. Autoliv has singled out "a couple" of Lidar companies that are "more interesting than others," Carlson said. "It's too early to mention any names as we are in various levels of discussions with some of these guys." Should autonomous vehicles eliminate the need for drivers in the future, demand for products like airbags and seat belts that make up the bulk of the company's earnings will fall, along with the risk of accidents caused by humans. "I see that taking a very long time," Carlson said. As long as all cars aren't fully autonomous, the risk will remain of being hit by a human driver, requiring "some kind of occupant protection for a very, very long time."